Once upon a time, there was a ham sandwich called Sandy, who was taken to the beach in a bag every summer. But Sandy was fed up because every time she went she would get covered in sand, particularly when there was a lot of wind. Not even bags could prevent it from happening. 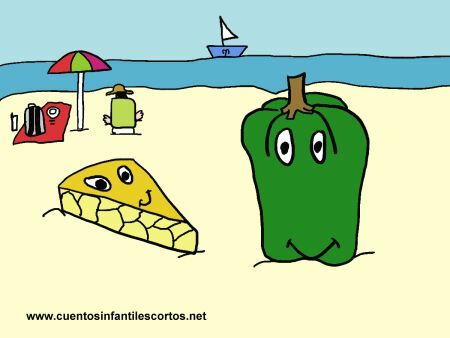 The ham sandwich usually went to the beach with her friend the tomato, who also thought the same thing – the beach was disgusting! From that day on, the parents wrapped up their sandwiches and tomatoes in bags, but made sure they were well sealed so that no sand would get in. And that was how they learned that they must respect food, and that it’s important to put yourself in someone else’s shoes, for that is called empathy.